Looking for a great deer skinning knife for next Fall? 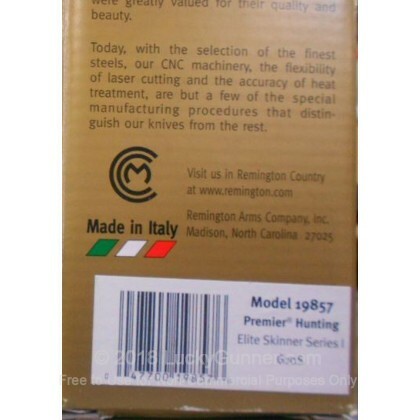 Look no further than the name you've trusted for a long time to supply your ammunition and rifle needs: Remington! 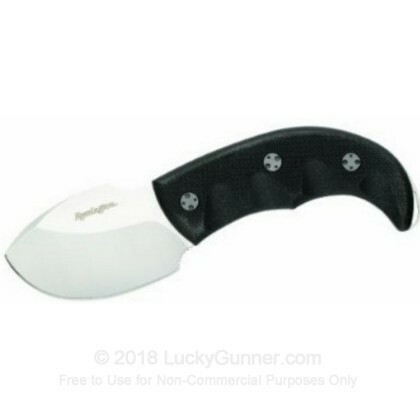 Remington's Premier Series of Elite Skinner Series I hunting knives are manufactured in Italy and their blades are made from quality 440C Stainless Steel. This knife is perfect for skinning your next deer harvest with its 3" blade. This precisely crafted knife is equipped with an Italian leather sheathe for easy carrying in the field.